Teaching materials and all music needed for your exam. This product gives you access to all the exam material you need to learn for Debut to Grade 8 exams. 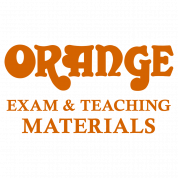 For your convenience, these materials have been split into Course learning materials for teachers and Exam Materials for the exam. This is delivered as a .zip file archive containing PDF files with links to audio materials.